The incidence of arsenic toxicity has been observed in various countries including Taiwan, Bangladesh, India, Argentina, Australia, Chile, China, Hungary, Peru, Thailand, Mexico and United States of America. Arsenic is a ubiquitous element present in drinking water, and its exposure is associated with various cardiovascular disorders. Arsenic exposure plays a key role in the pathogenesis of vascular endothelial dysfunction as it inactivates endothelial nitric oxide synthase, leading to reduction in the generation and bioavailability of nitric oxide. In addition, the chronic arsenic exposure induces high oxidative stress, which may affect the structure and function of cardiovascular system. Further, the arsenic exposure has been noted to induce atherosclerosis by increasing the platelet aggregation and reducing fibrinolysis. Moreover, arsenic exposure may cause arrhythmia by increasing the QT interval and accelerating the cellular calcium overload. 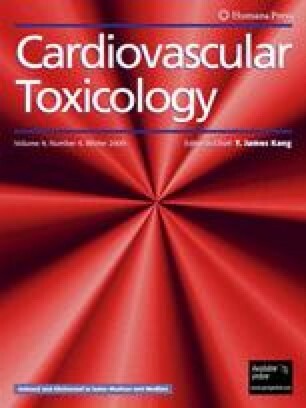 The chronic exposure to arsenic upregulates the expression of tumor necrosis factor-α, interleukin-1, vascular cell adhesion molecule and vascular endothelial growth factor to induce cardiovascular pathogenesis. The present review critically discussed the detrimental role of arsenic in the cardiovascular system. We express our gratitude to Shri. Parveen Garg Ji, Honorable Chairman, ISF College of Pharmacy, Moga, Punjab, India for his inspiration and constant support for this study.